From the front lines of the battle against Islamic fundamentalism, a searing, unforgettable book that captures the human essence of the greatest conflict of our time. Through the eyes of Dexter Filkins, the prizewinning New York Times correspondent whose work was hailed by David Halberstam as reporting of the highest quality imaginable, we witness the remarkable chain of events that began with the rise of the Taliban in the 1990s, continued with the attacks of 9/11, and moved on to the wars in Afghanistan and Iraq. Filkinss narrative moves across a vast and various landscape of amazing characters and astonishing scenes: deserts, mountains, and streets of carnage; a public amputation performed by Taliban; children frolicking in minefields; skies streaked white by the contrails of B-52s; a nights sleep in the rubble of Ground Zero. Like no other book, The Forever War allows us a visceral understanding of todays battlefields and of the experiences of the people on the ground, warriors and innocents alike. 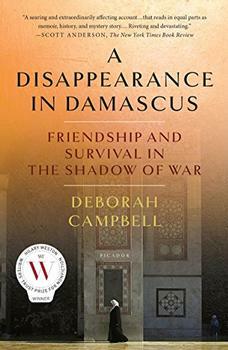 It is a brilliant, fearless work, not just about Americas wars after 9/11, but ultimately about the nature of war itself. The people are coming, a voice was saying into the loudspeaker, and the voice was right, the people were streaming in and taking their seats. Not with any great enthusiasm, as far as I could tell; they were kind of shuffling in. I probably had more enthusiasm than anybody. I had a special seat; theyd put me in the grass at the edge of the field. In America, I would have been on the sidelines, at the fifty yard line with the coaches. Come sit with us, theyd said; you are our honored guest. For anyone who despairs, as I have, of ever understanding the nations and events which orbit around the date September 11, 2001, The Forever War is part antidote, part exacerbation. As in the rest of life, the more we learn, the less we really know. Yet, this is the great value of the book. Filkins shows us that black and white ideologies – political, moral or otherwise – may be easy to stand by in our comfortable, peaceful world, but they become much harder to proclaim from the other side of the world, in the grey heart of war. (Reviewed by Stacey Brownlie). Dexter Filkins, one of The New York Times's most talented reporters, employs a fine journalistic restraint, by which I mean he does not force irony or paradox but leaves that process to the reader. Nor does he speculate on what he does not see. These are worthy attributes, and whether their roots are in journalistic discipline or not they serve this unforgettable narrative superbly. These stories are accurate but not antiseptic, detached but not uncaring. And they force the reader to reflect on how fragile civilization is and how fortunate we Americans are. 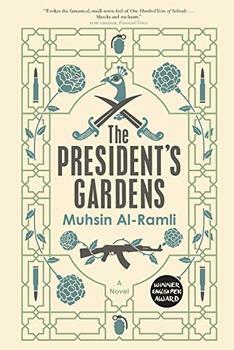 Brutally intimate, compassionate, often poetic accounts of the battle against Islamic fundamentalism...destined to become a classic. Starred Review. Filkins...is widely regarded as among the finest war correspondents of this generation. Sharing his deeply humbling, transforming journey, the author tempers numbing details of slaughter and carnage with affecting human stories. Iraq and Afghanistan are countries with deep histories and multiple ethnic and religious citizen groups. The geographical area that today is Iraq is regarded by historians as the site of some of the earliest human civilizations, including the Sumerians (who lived between the Tigris and Euphrates rivers in Mesopotamia, a Greek word meaning land between the two rivers).